Loving family, affectionate friends, sweet love, good food, great wine we would be exaggerating only slightly if we said celebrations are what keep us alive! At Thai Silk Box, we believe in the magic of celebrations. Precisely why we go all out helping deliver the spirit of good cheer and merrymaking through your invitations. 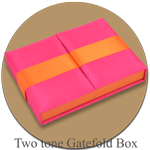 Honoring guests one custom handcrafted Thai Silk Box at a time! Is there a better way to make your invitation completely unique than have it sent to your guests' mailbox in a world that has been taken over by the world wide web? There isn't! In today's times of Facebook and Twitter invites, you can give your guests the royal treatment of a personalized invitation that arrives in an elegant invitation box made from the finest silk and handcrafted to perfection by masters of craft! Our years of experience have taught us that breathtaking invitations are made of choicest materials, a dash of fitting colors and the personal panache of the couple sending them. 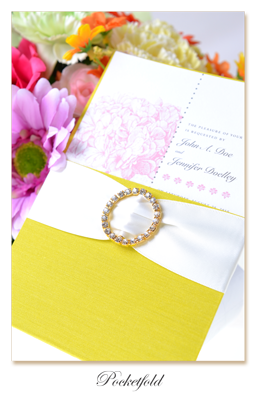 Personalization of invites is therefore our prime goal and complete customization our guarantee. 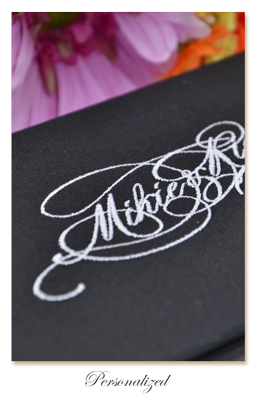 We design our invitations to your specifications and as a reflection of your personal taste and makeup. 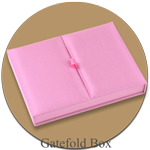 Your Thai Silk Boxes wedding invitations for instance, will not only awe your guests instantly, they will also give them a glimpse of the loving relationship you share with your valentine. Next, we encapsulate the timeless elegance of silks to your wedding invitations by handcrafting wedding invitation box made of the highest quality silk. Our small handpicked group of Thailand's celebrity craftsmen create wedding pocket folio, book folio and other intricate silk folio to create unique invitation box that are true to your taste. 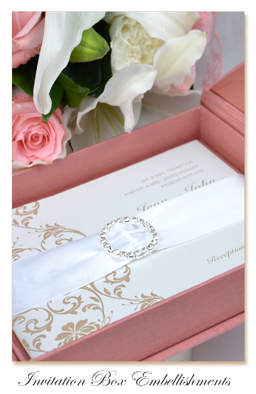 Together the wedding invitation and box will help you set the tone and theme of your wedding. Silky satin, sensuous sheer, appealing lace and stunning pieces of jewels are kept aside for embellishment at your will. And so are a legion of colors. 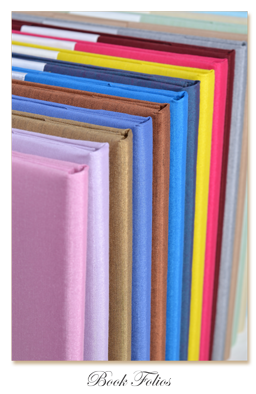 We have a dedicated custom color page where you can browse through an enormous range of custom hues and shades. Once the two of you have decided on a color, we can get started on etching, engraving and carving a unique invitation box that your guests would want to hold on to even after the celebrations are done. We may spoil you for choice! And don't let us talking about wedding invitations mislead you into thinking our dreamy Thai Silk Boxes are for wedding invitations only. From anniversaries and vow renewals to baby showers and birthdays – Thai Silk Boxes are to used for all announcements where you'd want to bedazzle your guests and keep them looking forward to joining you in the celebrations. You'll love how affordable we are. You'll also love how fast and safe our delivery is! Talk to us if you have specific designs and themes in mind. Alternatively, just tell us the colors, embellishments and folds you'd like and get busy in other parts of planning the party. We'll get back to you with a gem of an invite and invitation box. 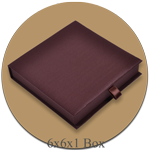 Our responsive customer service staff at Thai Silk Box is committed at offering our customers with the most elegant and sophisticated solution. Our custom made designs also are available at affordable prices, which will not comprise on your expectations about quality and design in any manner. When you place your order with us you can be assured of premium quality custom wedding invitations, which will have Thai Silk Boxes's trademark of perfection.